Sell your items to your customers and trade your produce with the city to earn revenue. Funky Bay is a farm game based on the story of a guy who is tired of his monotonous 9 to 5 job and ends up leaving everything to live on a farm and sell fresh produce to the customers. Help your character prosper by managing your farm, growing and harvesting crops and producing valuable items from raw goods in this addicting game. The game features a lot of crop variety which include blueberries, strawberries, tomatoes, wheat and peanuts etc. Unlock more crops as you level up in the game. Planting the crops is quite easy. Buy farm plots from the shop with the help of coins and place them anywhere on your farm with a single click. Choose a farm plot and click the crop you want to plant. Each crop takes some time to be ripened which can be sped up using gems. After that, click on the ripened crops to harvest them to be automatically stored in your silo. You can also upgrade the silo for greater storage capacity. A farm is incomplete without animals and this is why Funky Bay introduces chicken coops and cow yards. Simply purchase the items from the shop and place them in your desired spot. Click the yard to place as many cows and chickens as you need. Feed your farm animals timely and get dairy produce for selling purposes. You can also convert your raw produce into something valuable to increase its worth. Visit the shop to purchase shops like bakery, dairy, markets, cocktails bars and much more to produce dairy products, cakes, cocktails etc. for your customers. In order to earn revenue, you can sell your produce to the customers visiting your farm. You can also trade your items in the city with the help of a boat that will bring in orders for you from the city. Funky Bay also introduces the option of decorating your farm to make it look appealing to your customers. You can buy flower pots, colored fences, air dancers and kites etc. from the shop. Each task requires time to be completed so you will have to manage your customers accordingly in order to earn more revenue. You can also speed up your tasks using coins and gems won during different quests. Moreover, you can invite your friends and play alongside them. Visit their farms and carry out some of their tasks in order to earn rewards. You can also trade your items with your friends. 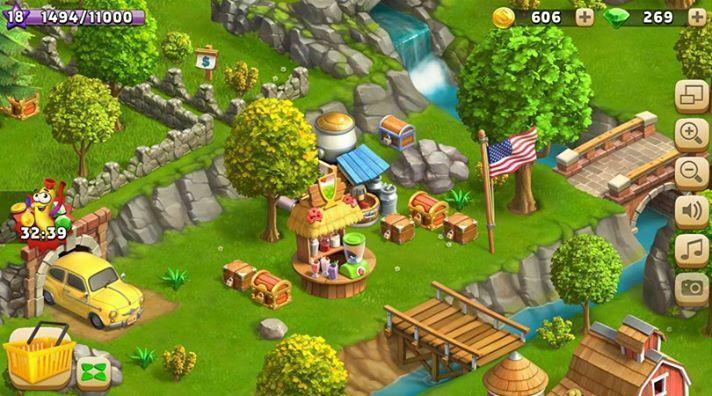 Funky Bay features excellent visual effects and portrays a colorful farm scenario. The details of the shops, the crops and the farm animals are quite beautifully displayed. Furthermore, the theme far music makes the game even more fun to play. You can also purchase coins using gems in the game and can purchase gems using real money from the in-game store. Manage your farm and grow fresh products in order to make a living out of it. 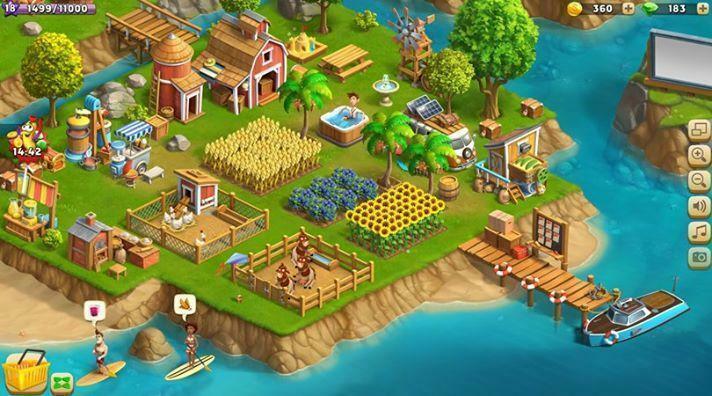 Grow crops, feed your farm animals and turn your raw products into something valuable. Sell your produce to the customers and trade them with the city merchants in order to earn revenue. Decorate your farm and invite your friends to grow a farm alongside you. Try Funky Bay now and have never ending fun.